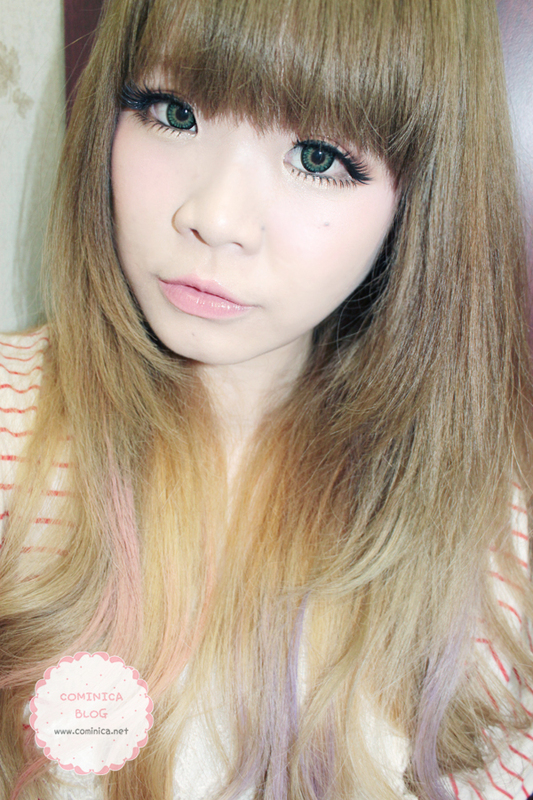 If you're wondering about the upper false lashes, I wear false lashes from kkcenterhk in "this post". Lol, I use Liese ash brown because my hair turn out brassy and yellow again. 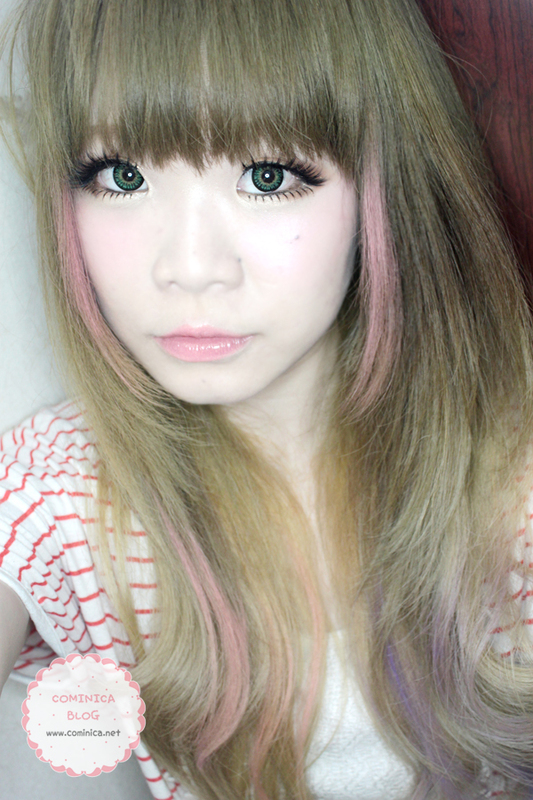 I played with my soft pastel again too that day, hahahha super love the pink and lavender combination. (/‾▿‾)/ kawaaii ne~? I like the effect of this lower lashes, the gap make it look unique~! Captured with ring flash, with neutral tone so you can see the real color. It looks darker than before and a bit green. After few washes, the green will disappear little by little *probably* , and turn out milk tea again. love your new hair color ci Len! These designs are my fave! And you look super pretty Cominca *O* LOVE your hair!! Your eye-make is always so gorgeous, I'm jealous! But your hair still looks really kawaii, even more with the pastel colours! Really lovely bottom lashes and cute hair! 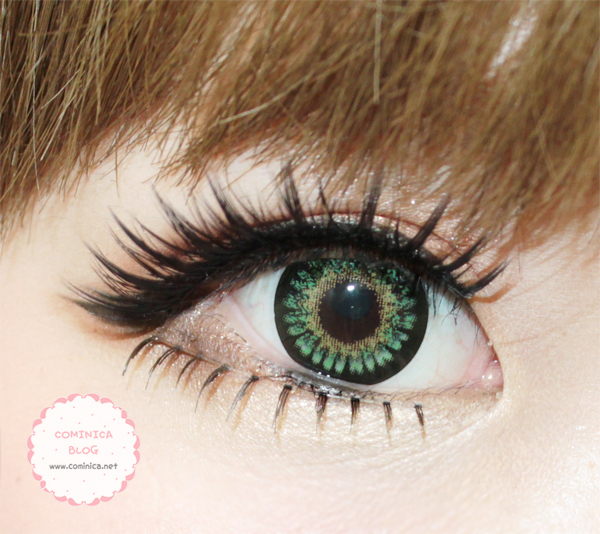 PS, Win circle lens at my blog! dikasih pink2 gt lucu banget <3 pretty! Love the alshes! I love how you always get cute things for the eyes. i have a question, it's about your cute colored hair, can you make a tutorial about it? Oh, i died mine purple, and my mum was saying that I would go bald too, so funny! Your eyes are so vibrant! Beautiful beautiful.. I've never heard of these lashes before, but they sound great! I love your hair color!!! You have such gorgeous skin, so lighter colours look so good on you. These lashes look very nice. It's good that it's durable as well. Hey. Kalau boleh tau kamu cat yang pink-ungu itu cat sendiri atau di salon? so cute! the lens and the lashes make your eyes bigger also dramatic..
Wow, you have pretty eyes! And your new hairstyle is adorable! aiyaaa!! pretty girl!! love your lens lennnn <3 merek apoow?? It's an amazing piece of writing in support of all the internet people; they will get advantage from it I am sure.